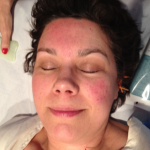 I am frequently asked about studies and articles which have been done on facial acupuncture. I’ve compiled a list of a few. Meridional Cosmetology: Report of 300 Cases with Discussion of Underlying Mechanism. International Journal of Clinical Acupuncture, Vol 7, No 4. Spring is finally here and all those months of dry heat , not enough fresh air, winter colds and holiday parties can really show up on your face! There are many options available these days that promise to erase the signs of aging from the face — lasers, peels, injections, and of course surgery. 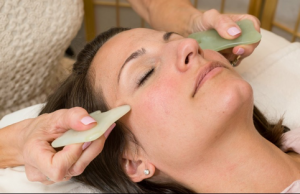 But for those of us who would rather choose a more gentle and natural approach to revitalizing the skin and rejuvenating our appearance — without the risk of scars, infection, disfiguration, toxic build-up of chemicals or downtime — Facial Rejuvenation Acupuncture is a gentle, effective, and safe way to combat the signs of aging skin. Acupuncture offers many benefits to those who want to revitalize the look and feel of their skin. 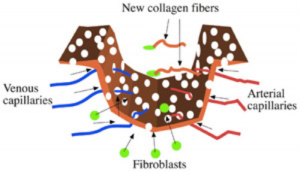 It builds collagen, tones muscles, improves circulation, and stimulates blood flow with no risk of scars, infections, or rashes. 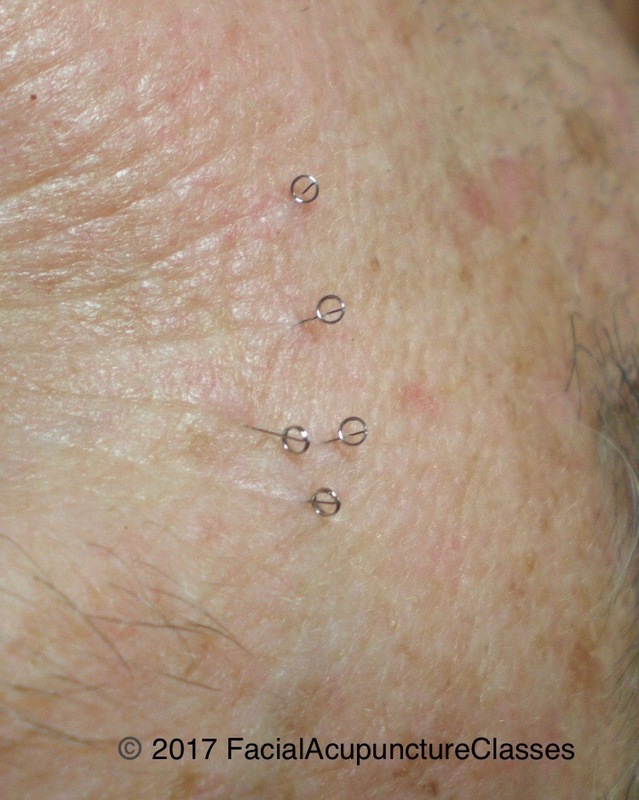 Facial Rejuvenation Acupuncture is much more than a cosmetic procedure. Acupuncture changes the energy flow within the body and initiates the process for constitutional rejuvenation. If energy is not flowing freely throughout your body then your organs, muscles and lymphatic system cannot function properly, which can contribute to puffiness, bags and premature aging. Each facial rejuvenation acupuncture treatment is 1.5 hours long and is part of a 12-20 treatment series. Maintenance sessions are scheduled according to the individual’s needs after the initial series. You may see changes as soon as the first treatment is completed, but each succeeding treatment builds on the last. 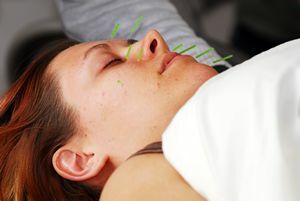 A 1996 report in the International Journal of Clinical Acupuncture reported that in 300 cases treated with Facial Acupuncture, 90% had marked effects with one course of treatment. Documented effects included: improvement of the facial muscles, leveling of wrinkles, and other benefits–not confined to face. Spring Time Special: Buy 12 sessions, get a FREE Aculift Microneedle Dermal Roller ($45 value). Visit www.gellisacupuncture.com for more information. Michelle Gellis is a licensed, Board Certified, Acupuncturist. She is a faculty member and clinic supervisor at the TAI Sophia Institute in North Laurel. 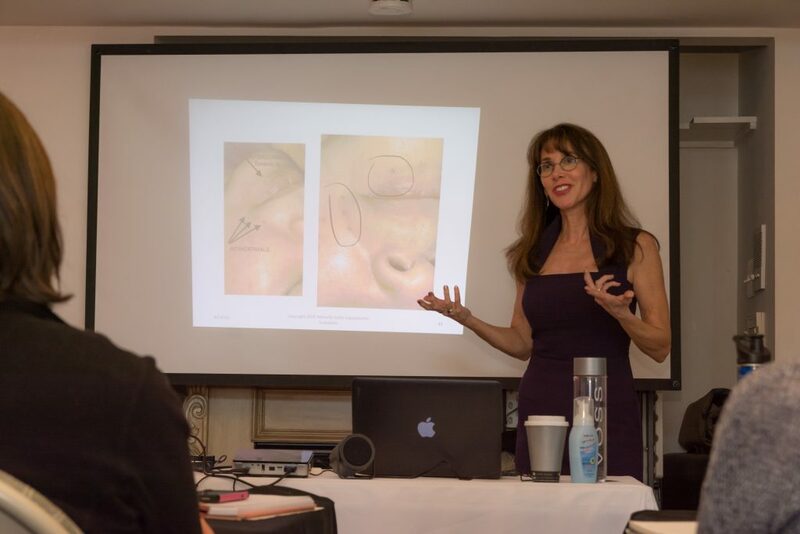 Michelle also teaches Acupuncture Facial Rejuvenation classes to acupuncturists. She has offices in Fulton and at TAI Sophia. She can be reached at 301-725-8927 or seaofchi@aol.com. More and more people are turning to high tech, trendy, anti aging treatment to improve their skin. Every time I am at a social gathering of my ‘40 something’ peers, I overhear women talking about Botox, fillers, lasers and cosmetic surgery. These procedures are quick and typically effective, although most involve considerable risk, pain, down time due to bruising and swelling, and can be disfiguring. All of these procedures have one thing in common, they don’t treat the causes of aging, just the results of it. There is one modality for anti aging treatment for the skin which actually improves the health of the person while also giving cosmetic results: Facial Rejuvenation Acupuncture. Acupuncture facial rejuvenation focuses on restoring and maintaining good health while providing cosmetic improvements. Different organs are addressed from a Chinese medicine perspective such as the spleen, which in Chinese medicine is responsible for holding things up, or the lungs which control the skin. Conditions such as blood or Qi deficiency or stagnation can lead to poor circulation and dry withered looking skin. Qi (pronounced “chee”) is a fundamental concept of everyday Chinese culture. At the core of Chinese medicine is the philosophy that Qi flows throughout the body. Qi is loosely translated to ‘life force’ that is part of everything that is alive. Where there is no Qi there is no life. Qi helps to animate the body and protect it from illness, pain and disease. A person’s health is influenced by the quality, quantity and balance of Qi. The Chinese character for Qi shows steam rising from a pot of cooking rice. In order to maintain health, we need to keep the ‘rice pot lid moving’ appropriately so that it does not get stuck closed or blown off. Qi is circulated through specific pathways called meridians. There are 14 main meridian pathways throughout the body. Each is connected to specific organs and glands. Meridian pathways are like rivers transporting life-giving Qi to nourish and energize every cell organ gland tissue and muscle. When Qi flows freely throughout the body, one enjoys physical, mental and emotional well being. An obstruction of Qi anywhere in the body is like a dam, backing up the flow in one area and restricting it in other. This blockage can hinder the distribution of the nourishment that the body requires to function optimally. Regular acupuncture treatments as part of your wellness plan can improve your health at the same time as minimizing wrinkling and sagging. What anti aging treatment could be better? 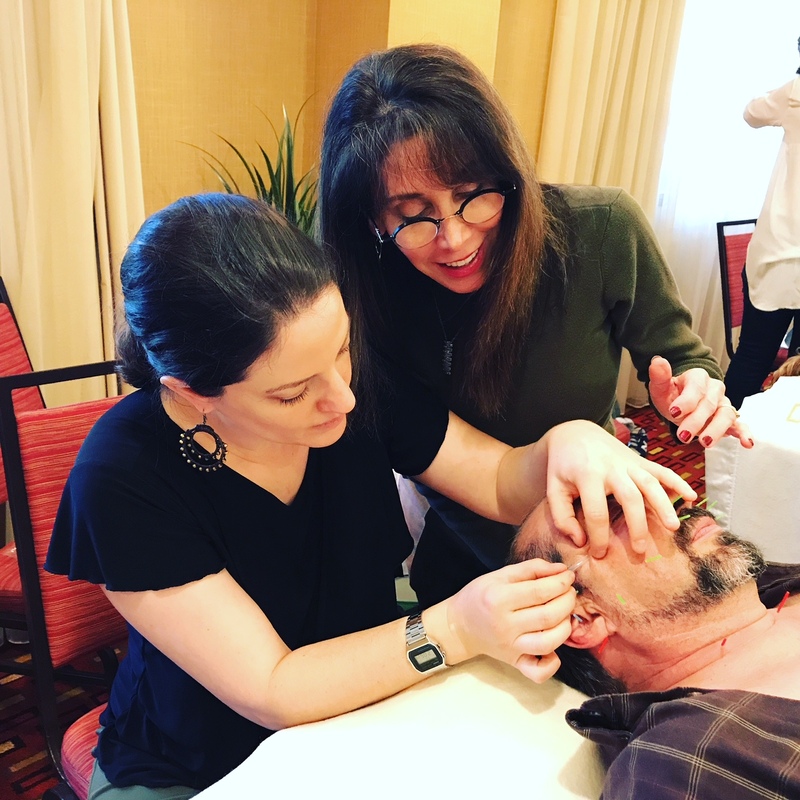 One of the most useful lessons you will learn during our Facial Acupuncture Classes is how to locate the auricular muscles to lift the face during cosmetic acupuncture treatment. In recent times Botox has been used to treat a myriad of conditions. From wrinkles to headaches, overactive bladder to overactive sweat glands, the medical community has been finding new and innovative uses for Botox®. Acupuncture has been used for over 3,000 years to treat many physical and cosmetic conditions as well. The benefit to cosmetic acupuncture is there are no dangerous side effects or disruption to the body’s natural functioning. In order for a muscle to contract it must receive a chemical messenger (acetylcholine) from a nerve. This happens at the junction where the nerve ending meets the muscle. When Botox® is injected, the botulinum toxin prevents the release of acetylcholine which paralyzes the muscles, preventing it from contracting. 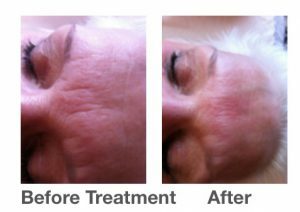 In the case of a wrinkle, the relaxed muscle creates smoother surface for the skin to adhere to, thereby temporarily reducing the appearance of a wrinkle. Botox® is most often used on forehead lines, crow’s feet (lines around the eye), and frown lines. Wrinkles caused by sun damage and gravity will not respond to Botox®. The effect of Botox® injections last from 3-4 months, at which time they must be repeated. 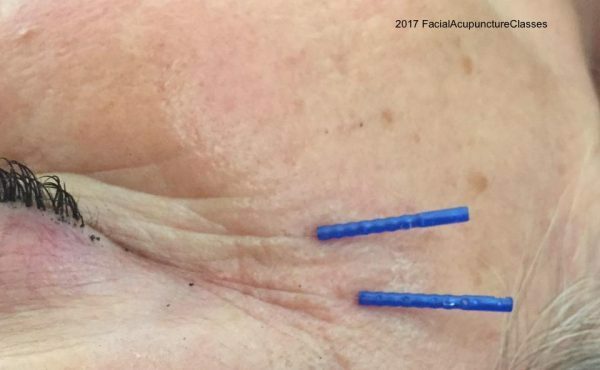 Cosmetic Acupuncture (also known as facial rejuvenation or facial acupuncture), when administered by a certified, licensed, acupuncturist can have the same benefits as Botox® without the side effects. Facial rejuvenation acupuncture works on several levels treating the skin, muscles and underlying imbalances, which may be creating wrinkles and/or saggy appearance. To keep your skin healthy and beautiful on the outside, you must work on the inside of your body as well; Increasing the flow of energy, blood and lymph circulation improves the skin’s natural healthy color. Cosmetic Acupuncture also can increase the promotion of collagen production, muscle tone and skin elasticity; this helps to firm the skin. Acupuncture’s ability to stimulate the formation of body fluids helps to nourish the skin, adding moisture and making it softer, smoother and more lustrous. Facial Acupuncture not only addresses the outward appearance of the effects of aging, it also can ease stress, depression, worry and frustration, which in turn can cause premature aging. Regular acupuncture treatment helps to balance hormones, calm overactive adrenal glands, and create a sense of calm. Stress can cause chemicals called neuropeptides to flood your skin and wreak havoc by increasing inflammation, widening blood vessels, and increasing skin permeability. The calming nature of acupuncture also decreases heart rate, lowers blood pressure and relaxes the muscles. Acupuncture improves circulation of blood throughout the body, which brings oxygen to the tissues and clears out cortisol and other waste chemicals. The needles themselves elicit a healing response to the micro-trauma caused by the needling. Collagen is produced, helping smooth out the wrinkles. Additionally, needles can be placed under muscles through a process called submuscular needling to help relax the muscle belly, and by using special points called motor points, the muscle can be reset to its normal function without the use of any toxic chemicals. The results of acupuncture facial rejuvenation are a more even-toned, healthy, youthful looking skin, a clearer complexion, and a more peaceful state of mind. 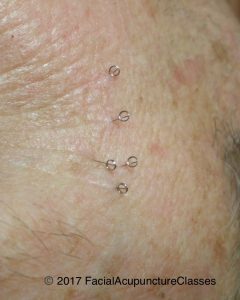 The side effects of facial acupuncture are rare and are limited to occasional temporary bruising at the site of needle insertion. The treatments take place over several weeks. Once completed the results can last indefinitely with regular maintenance. Acupuncture is a safe, viable alternative to Botox injections. Make certain your practitioner has been trained by an AAC certified instructor. “Dry Needling” is Acupuncture. Inserting an acupuncture needle into the body, under any pretense, for any purpose, is the practice of acupuncture. Physical therapists, chiropractors and other allied health professionals use this term to circumvent state laws governing acupuncture practice. Tender or painful points, also referred to as “trigger points” or “motor points,” are Acupuncture points. In Chinese medicine these are known as “ashi” points. Those practicing “dry needing” will claim they are not treating acupuncture points, when in fact they are. “Dry needling” is an invasive, acupunc­ture needle intervention. “Dry needling” is not “manual therapy”. Manual therapy is a noninvasive, hands-on intervention. “Dry needling” is not a “technique”; It is Acupuncture. The act of inserting an acupuncture needle into the body, under any pretense, or for any purpose whatsoever is the practice of acupuncture. Physical therapists and other allied health professionals who are not licensed by law to practice acupuncture are using acupuncture needles to perform “dry needling’. 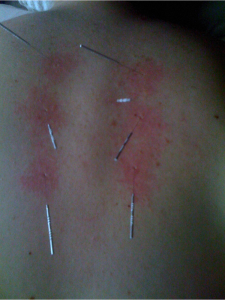 Physical therapists and other allied health professionals who are not licensed by law to practice acupuncture would have you believe that they are not using acupuncture needles to perform “dry needling,” when they are, in fact, using acupuncture needles, which are clearly labeled as such on the package. Physical therapists and other allied health professionals who are not licensed by law to practice acupuncture are not qualified to perform “dry needling.” 16 states have outlawed the practice of “dry needling” entirely. “Dry needling” is far outside both physical therapists’ and other allied health professionals’ scope of practice and their scope of education and training. In order to become a licensed acupuncturist you must complete between 660-870 hours of hands on, supervised training in the use of needles, 1245-1755 hours of training in diagnosis, safety, biomedicine, anatomy, theory and other topics, and a minimum of 250-350 supervised patient treatments prior to graduation and licensure. Yet physical therapists and other allied health professionals are inserting acupuncture needles (up to four inches or more in length) into patients with as little as a weekend workshop in acupuncture. Patients are not safe when under-educated professionals perform “dry needling”. There are real risks associated with the use of acupuncture needles by physical therapists and other allied health professionals who lack the education and supervised clinical training of licensed acupuncturists. 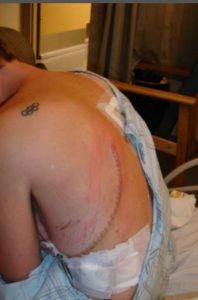 These real risks include, but are not limited to: blood vessel, nerve and organ injury from inappropriate acupuncture needle angle and depth of insertion or from inappropriate acupuncture needle manipulation, infection and cross infection from non-sterile re-insertion of acupuncture needles, poor hygiene in acupuncture needle handling, and inadequate skin preparation. 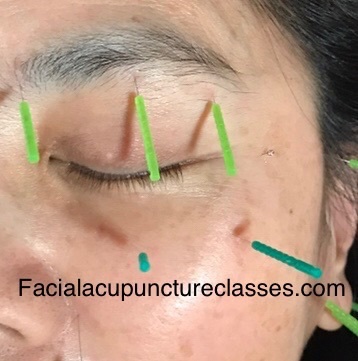 There are documented cases of injury from the use of acupuncture needles by allied health professionals who lack the education and supervised clinical training and examinations of licensed acupunc­turists. In one such case, Emily Kuykendall, a high school teacher from Maryland, had suffered nerve damage from the use of acupuncture needles by a physical therapist. In another such case, Kim Ribble-Orr, a former Olympic athlete from Canada, had suffered a punctured lung and a pneumothorax (the presence of air in the cavity between the lungs and the chest wall, causing collapse of the lung) from the use of acupuncture needles by a massage therapist. Needling is a subtle skill that takes years to master. In Acupuncture School, we spend almost two years learning point location, and proper needle technique before we ever insert a needle into a patient. An acupuncture needle is a delicate instrument. Properly trained, an acupuncturist can tell when the tip of the needle is approaching structures such as nerves, blood vessels and the membrane surrounding bones or internal organs. The nature of the dry needling courses makes the ability to discern these subtle distinctions impossible. As a faculty member at the Maryland University of Integrative Health, one of the exercises I use to teach my students the subtly of inserting a needle is to have them insert a needle into an inflated balloon without popping it. Most students are surprised at how difficult it is. Like many things, acupuncture looks easy when performed by an expert, but in reality, it takes many years to master. You certainly would not see your Acupuncturist for physical therapy or chiropractic after a couple of weekend courses; why would you go to your PT or chiropractor for Acupuncture (no matter what they may call it) after just a few hours of training? *Information on this page is used with consent from the Acupuncture and Oriental Medicine Society of Massachusetts for more details go to their website: www.aomsm.org.